CnS e-motion: CnS-emotion Joins the Props and Poses 2011 Fair! CnS-emotion Joins the Props and Poses 2011 Fair! Happy New Year!!! 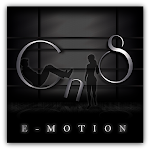 CnS-emotion is kicking off 2011 with a BANG! Please join us for a very special event from January 1 through January 8, 2011! The Props & Poses Fair 2011! Limited Edition Creations to Benefit the Epilepsy Foundation! *NEW* Exclusive Item Only Available at the Props & Poses Fair 2011! Proceeds to Benefit The Epilepsy Foundation! The ultimate prop for any blogger, fashionista, model or shopaholic! The dressing room includes all poses featured and is ON SALE only at the Props & Poses Fair! 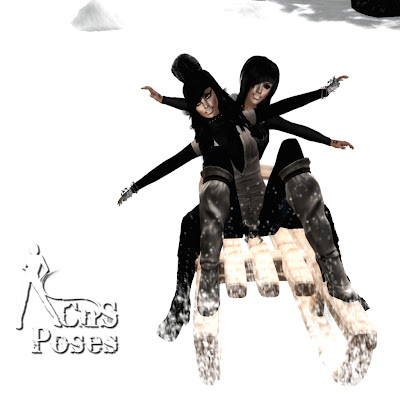 This sled is packed with poses is a must have for tons of winter fun photos! We all have them, need them and would die without them X_x! The prop with multiple poses can be summarized in one word...RaWrs!! All of this special poses and props are featured right now at this exclusive event! Stop by before the week runs out!